Agisoft PhotoScan Professional is a powerful software to create orthophotos, DEM, Orthomosaic, Mesh and many more. You can create 3D imaging using still photos. The images can have georeference information for GIS purposes, open in Google Earth and more. 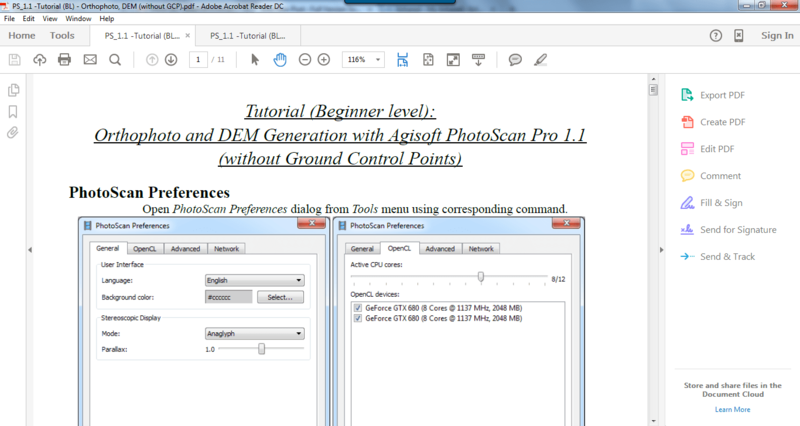 If you are new to Agisoft PhotoScan Professional, this tutorial is good for you to get started. It has all information you need to create the georeferenced photos from the scratch. You can download this tutorial in PDF format. This tutorial explain how to create orthophotos without GCP (Ground Control Points).